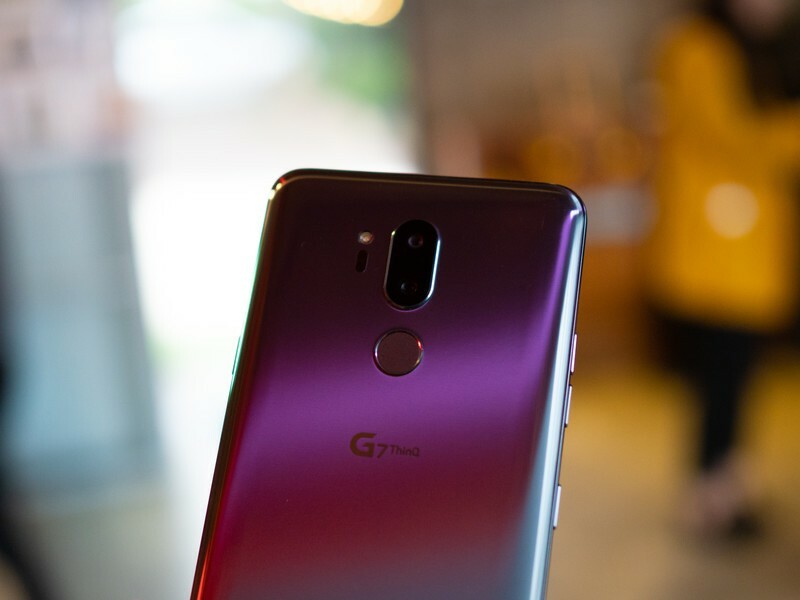 The LG G7 is one of the latest flagships released in 2018, and it’s got a lot of things going for it — the display looks fantastic, the sound is ridiculously good, the cameras are impressive, and the whole thing is packaged in a slick all-glass body. To avoid the heartbreak of cracked glass on your brand new phone, you should absolutely consider a case when you’re pre-ordering your new phone. 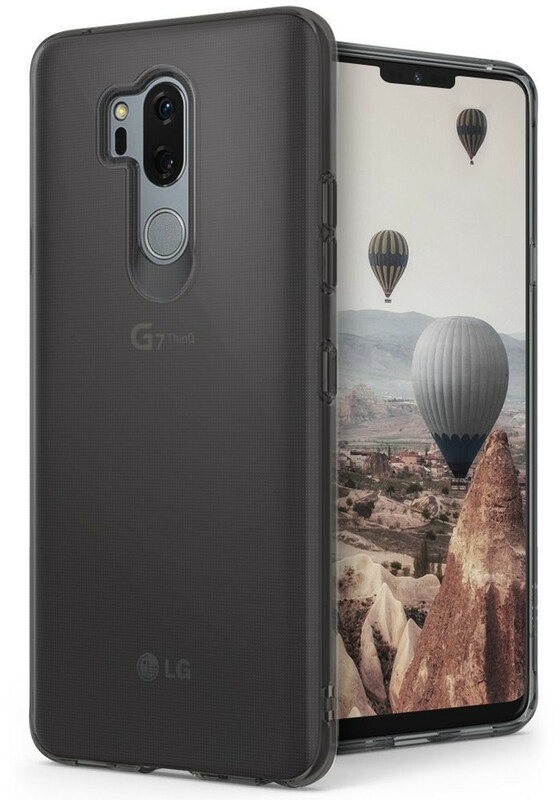 To help, we’ve rounded up the best cases available for the LG G7. Let’s dive in! Starting with one of the most popular heavy-duty case options for practically any phone on the market, the SUPCASE Unicorn Beetle Pro case is a great option to consider. Featuring a dual-layer design that combines a rigid polycarbonate shell with a flexible bumper, the refined design here will keep your phone well protected from the nastiest of drops. It also features a built-in screen protector to protect against scratches, and the precise cutouts and buttons mean the functionality of the phone will never be impeded. You can get this case in all-black or opt for a more colorful style for $22 on Amazon. For those of us who demand our cases be thin and let the phone design peek through, there’s this slim case option from Ringke. The Ringke Air is lightweight and transparent and made of flexible TPU so it’s easy to install. 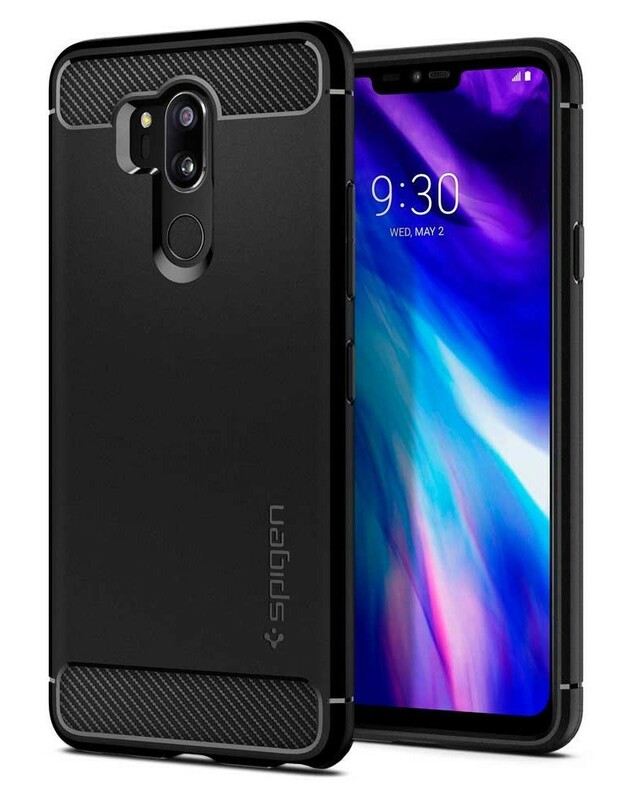 A case like this is going to protect against drops and scratches on the back glass, while also providing a buffer for the camera and fingerprint scanner on the back. It’s available as a clear case or tinted with Smoke Black or Orchid Purple for just $10 on Amazon. Ringe offers a ton of case styles for a crazy number of phones, and there are three other styles available from Ringke for the LG G7. But we’ll focus on the Fusion-X for combining the views of a clear case with a reinforced bumper for rugged protection. 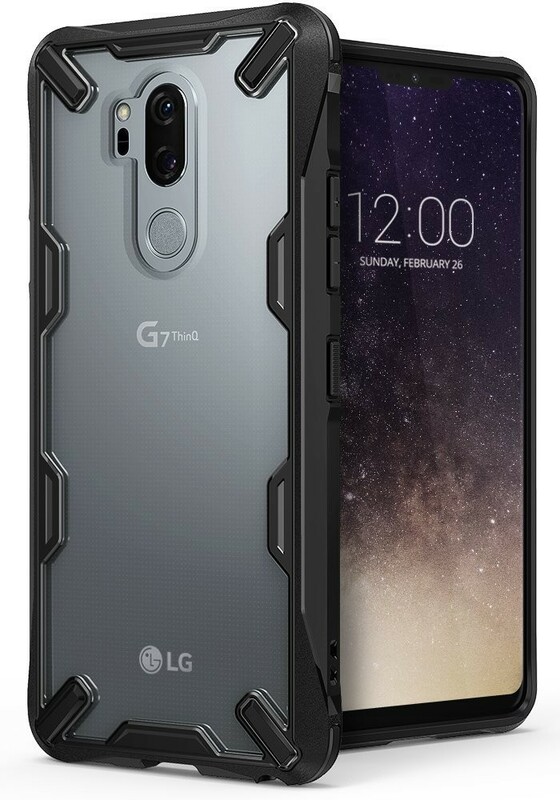 You’ll appreciate the added grip that this case provides and the clean design that lets you show off the G7 (ThinQ) branding on the back. Available with a black, gray, or lilac purple bumper, you can get this case for $12. 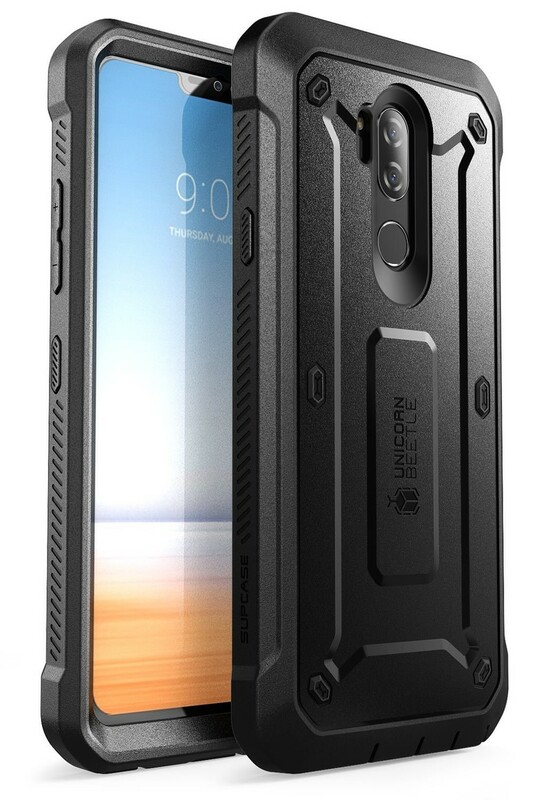 Spigen’s Rugged Armor case is about as good as it gets for a single-layer case. It adds barely any bulk to the phone itself while improving the in-hand comfort with a matte finish featuring carbon fiber accents at the top and bottom. Thin enough to allow wireless charging yet rugged enough to protect against nasty drops, this case is a minimalist workhorse that looks great in all black. Get it for just $8 for your LG G7. 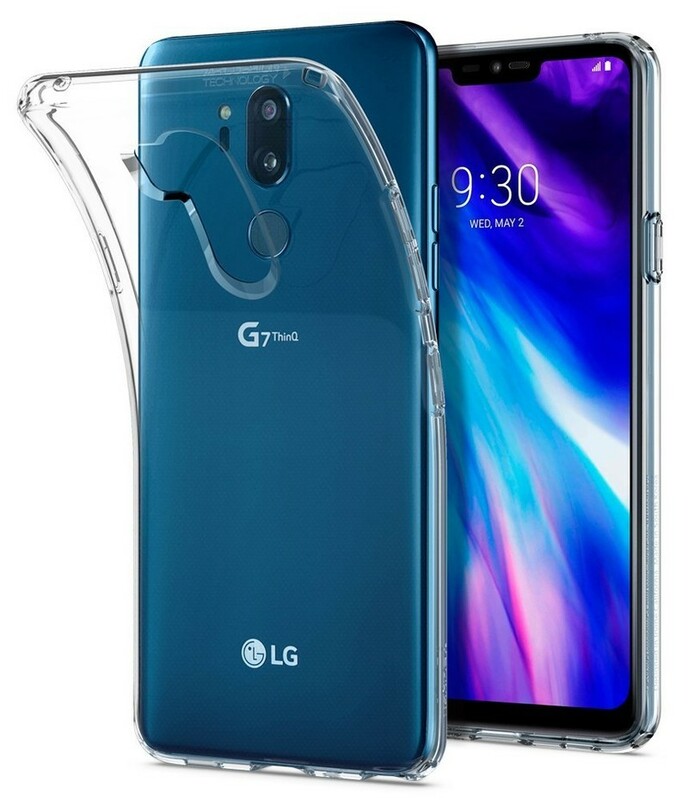 Another classic design from Spigen, the Liquid Crystal case is perfect if you want that ‘naked’ look for the LG G7 but also don’t want to unnecessarily risk your phone taking damage. You may ask what could really differentiate between clear cases, and the answer from Spigen would be its Air Cushion technology. Each corner is designed with a little pocket of air that creates a gap between the phone and the ground for added protection. Made of a single piece of crystal clear TPU, this case is a great minimalist option that won’t disappoint. Get it for just $12 on Amazon. For fans of wallet cases, ProCase has a stylish looking case made with a lightweight fabric finish and a built-in TPU case. This is a folio-style wallet case that features three card slots and a money pocket with magnetic clips to keep things closed. 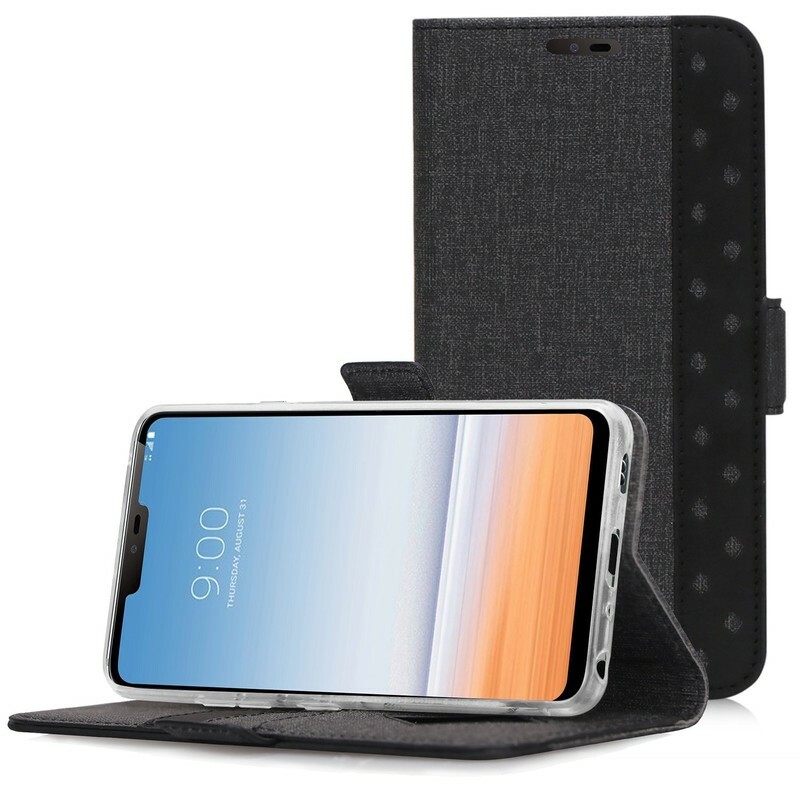 Like a good folio case, it can be folded up to create a kickstand for hands-free viewing, and there are generous cutouts around the camera and fingerprint sensor on the back. You can get this protective and functional case for just $10 for the standard black case, and up to $13 for a more colorful teal case. 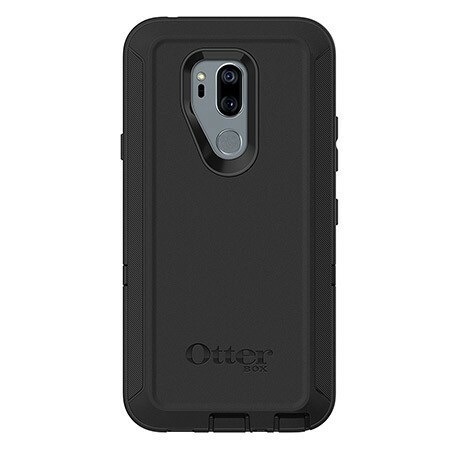 OtterBox has a full line of cases coming soon for the LG G7. The most popular Defender series case (pictured) will be available for $50, while the slimmer Symmetry series case will be available for $40. OtterBox has shifted away from including built-in screen protectors with their cases, instead offering its own case-compatible screen protector for $40. It’s a steep price compared to the other cases on this list, but if you’ve ever dealt with OtterBox’s warranty process or customer service you know that you get what you pay for regarding product support. OtterBox’s cases still aren’t on sale yet, but you can sign up to be notified as soon as they’re available. Update June 2018: Replaced the VRS Design cases and updated the pricing information.